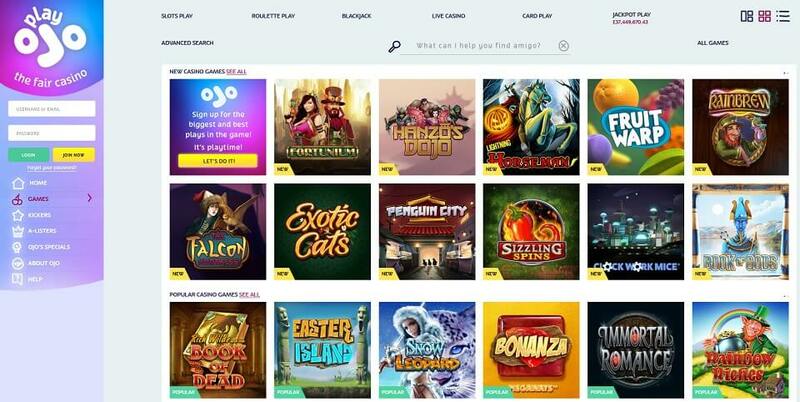 Despite being one of the newer online casinos in the industry today, Play OJO have already made quite an impact thanks to their range of games and easy to use platform. As well as this, new customers at their casino can earn themselves up to 50 free spins upon registering a new account, perfect for those looking to earn a helping hand in their gambling. So, let’s take a closer look at this offer, including how to claim it and the terms and conditions surrounding it. 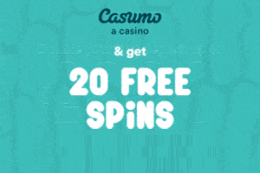 New customers are able to earn 50 free spins after registering, with the casino offering 1 spin for each £1 deposited. Any cash won using such spins can be kept, without any additional wagering requirements. 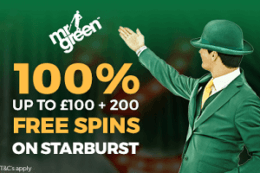 Deposit £50 in order to receive maximum 50 free spins. Register a new account with Play OJO via desktop or mobile. Make an opening deposit of at least £10. 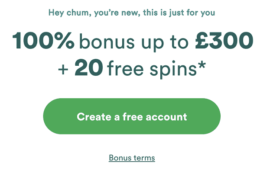 Earn 1 free spin for each £1 deposited. 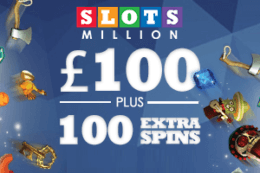 Maximum 50 free spins available, with £50 opening deposit required. Despite not offering any form of bonus funds in their welcome package, the Play OJO promotion is still well worth taking advantage of. Meanwhile, as a result of its simplicity, there are relatively few terms and conditions surrounding it, which will come as music to the ears of many potential customers. 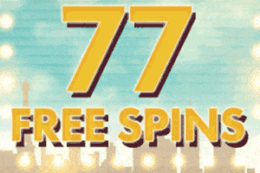 Unless otherwise stated, any free spin rewards you receive will be played with the lowest value bet on the game your free spins are on. In the event of any misconfiguration of your free spins package which results in the spins being a higher value we reserve the right to remove any winnings from the reward and re-apply at the correct bet amount. Depositing purely to take advantage our Rewards/Offers and with no intention of playing /risking the funds you deposited with. Unless stated otherwise, Free Rewards (ie, Rewards which are given without the need for a deposit) are only available to those with a Real Account. Unless otherwise specified, the minimum deposit to qualify for any deposit reward is £10 or the equivalent value in any other currency. 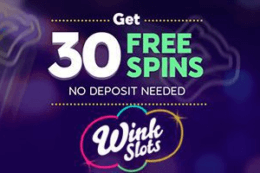 Up to 50 free spins up for grabs. No wagering requirements before withdrawals can be made. Lack of bonus fund available, as found on other platforms. 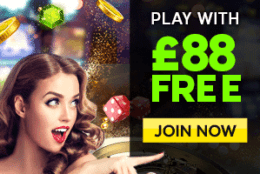 The Play OJO welcome package offers something a little different to casino customers, with up to 50 free spins certain to attract a decent number of punters. As well as this, the fact that there are no wagering requirements surrounding cash earned through such spins will come as a welcome change also. However, the lack of matched deposit or bonus funds is undoubtedly a negative factor, perhaps the only one surrounding this promotion. Is a promo code required at Play OJO? No. Due to the fact that this is not a normal welcome bonus in the traditional sense, customers must simple place a qualifying deposit in order to take advantage of it. Is Play OJO a trusted casino? Yes. Play OJO have gained a good reputation thanks to their full gambling licenses and range of customer support avenues offered. Are there really no additional wagering requirements? It may be hard to believe, but there are no wagering requirements once you have placed a qualifying deposit, meaning that any cash earned is withdrawable immediately.